CALVERT IS AN ANCIENT but common name of Anglo-Saxon origin, deriving from the Middle English "calfhirde" for "herder of cattle." For centuries, the heaviest concentration of Calverts was in rural Yorkshire. From there, the name spread and by the late 1800s many Calverts had spilled over to the neighboring counties of Durham to the north and Lancashire to the west. 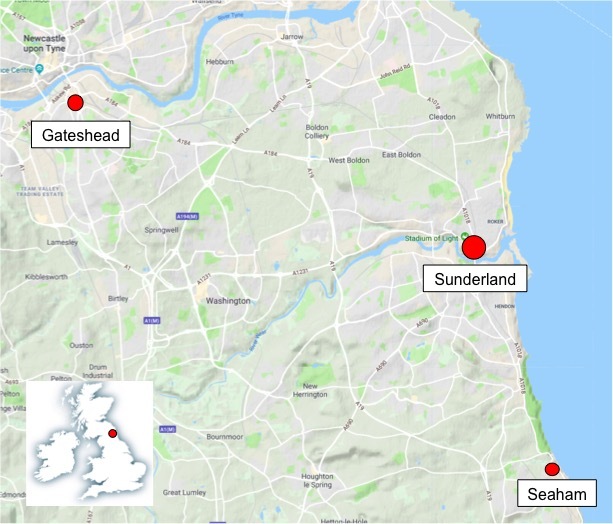 This is where we pick up the story of the seafaring Calverts, beginning with George Calvert, born in 1791 in northern County Durham, close to the banks of the River Tyne. This is the story of one small branch of Calverts, beginning with George Calvert, born in 1791 in the town of Gateshead on the Durham county side of the River Tyne. George was a succesful merchant sailor, rising to the rank of master, or captain. Three of his sons followed him into that occupation, but all died at sea. George's life was one that was repeatedly marked with tragedy, but he left a large posterity. GEORGE CALVERT was not born into a seafaring family. His father, also named George, was born in the emerging town of Sunderland in 1750. The only record we have of his father's employment is a reference in a parish church burial record of 5 April, 1804, in which he is described simply as a laborer. George's mother, Hannah, outlived her husband by 30 years, to the age of 83. George's parents seem to have lived most of their lives on Monkwearmouth Shore, skirting the River Wear in Sunderland. Vital records from this period are scanty. Most families had several children, and it's likely that George had brothers and sisters, possibly including an older brother, William. But only one elder sister has been positively identified - Christiana, whose life can be traced on parish registers. She grew up to marry a potter named Joseph Holmes. They were married at Holy Trinity parish church in Sunderland in 1814, but moved to Ousburn, near Newcastle on Tyne, where there was a thriving pottery and where they had at least four children. As for George, he was a short man, a fraction over 5ft 5 inches, with brown hair, blue eyes and a fair complexion. Judging by what he accomplished in his professional life, he must also have had natural gifts. In 1809, at the age of 18, George went to sea as an apprentice in the merchant navy. It was the age of sail. Steam-driven ship engines would not come until later in the century. It was also a time of constant war with France. The Napoleonic Wars made shipping perilous, but the Royal Navy protected the coastal waters, where George mostly served. A few records have been uncovered at the National Archives, showing that George was involved for much of his life in transporting coal by ship between the northeast of England with its rich coal mines, and the power-hungry homes and factories of London. In 1812, George married Mary Charlton at Holy Trinity Church, Sunderland, but the marriage was to be struck with tragedy time and time again. Of the six children born to George and Mary, only one would have a life that was not cut unexpectedly short. When George was in his early 30s, their second daughter, Hannah Eliza Calvert, died at age 2. In 1828, after the birth of their sixth child, wife Mary died as well. She was 32. In the years to follow, another daughter, also named Hannah Eliza and married to Nicholas Otterson, would see premature death. And all three of his sons to this marriage would either die at sea or by drowning after following their father into the seafaring profession. Even Mary, the one daughter to survive, was widowed in her early 20s. 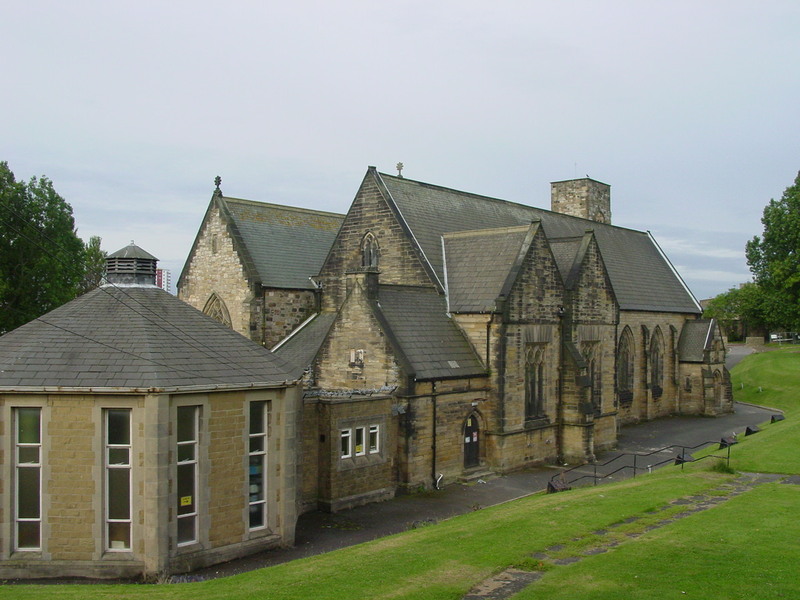 Top: The ancient church of St Peter's, Monkwearmouth, Sunderland, where many Calverts were christened. 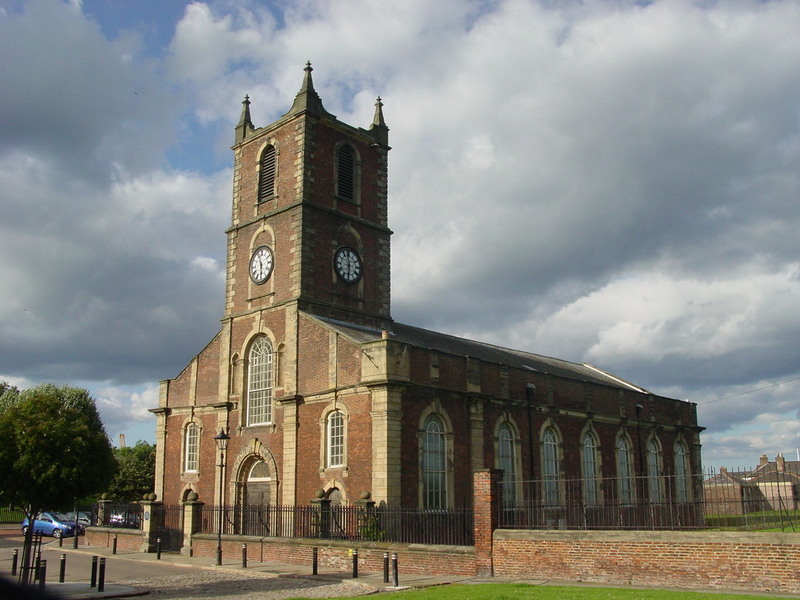 Above: Holy Trinity Church, Sunderland, where George Calvert and his sister, Christiana, were married. Below: Merchant Navy record from the National Archives showing George Calvert's birthdate as 8 Dec 1891, his physical description and other details. Other National Archives merchant records have yielded additional details to help flesh out George's life. With the loss of his first wife, Mary, in 1828, George found himself with five remaining children to look after, yet still needing to leave home frequently for his life at sea. He remarried a year later to a widow, Ann Roxby, formerly Ann Sands. Ann brought one more son, Charles, into the marriage, and over the next eight years, George and Ann would have four more children together. Their home was Seaham Harbour, from which George's ship typically sailed. Top: The Thames at Rotherhithe, London, where George Calvert's son, George, drowned in 1846. 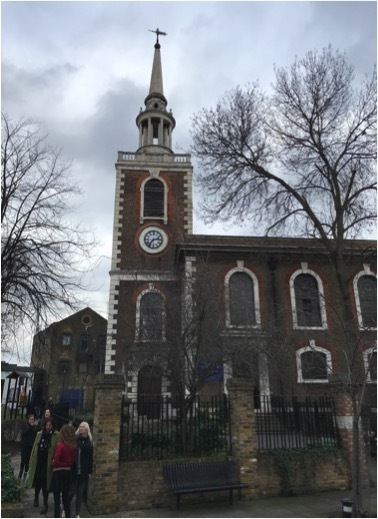 Above: The church of St Mary the Virgin at Rotherhithe where George is buried. By 1847, possibly earlier, George was a master's mate, and would later become master in his own right. He appears to have hired his sons and his wife's relatives, because Calvert and Roxby names appear from time to time on the vessels he commanded. Looking back over his life after the age of 30 must have seemed to George like a Shakespearean tragedy. 1824 Two-year-old baby daughter Hannah dies. 1839 Six year old Henry, son to his second wife, dies age 6. 1844 Son John, age 27, drowns in the River Weir, Monkwearmouth. The coroner records accidental drowning on the death certificate, but provides no other details. 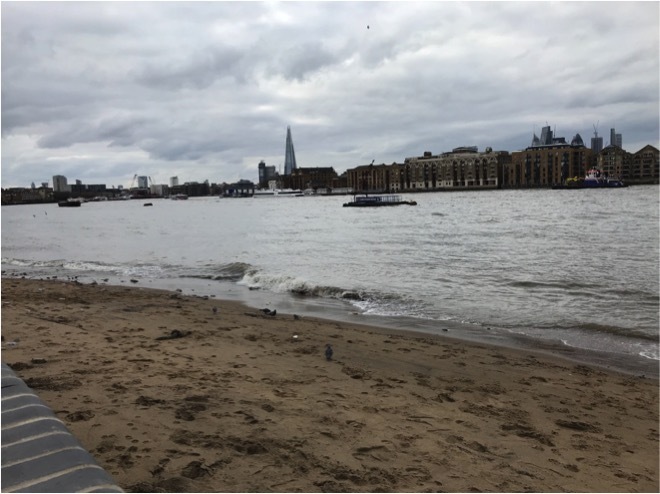 1846 Sixteen months later, son George, age 33, is pulled drowned from the polluted waters of the River Thames at Rotherhithe, London, after four hours. He is buried at St. Mary the Virgin church, not far from the river. 1846 Son George's widow, Mary, dies of consumption (tuberculosis), age 39, three weeks after her husband drowned. 1846 George and Mary's three-month-old baby Elizabeth dies the same day as her mother, from diarrhea and convulsions. Three other children are left orphans. 1849 Son John's widow, Margaret, dies of syphilis in a Sunderland workhouse. 1851 or soon after, daughter Hannah, married to John Otterson, dies, cause and date unknown. Between 1861 - 1871, William, last son to his first marriage, believed to have died at sea. While it may seem unusual for seafaring men in the same family to have died by drowning, it was common for sailors at that time not to know how to swim. George himself lived through all this tragedy to be almost 80. On the 1861 and 1871 censuses, he has moved back to Sunderland to live with daughter Mary Ann and her family - his one surviving child from his first marriage. At the age of 69 he is still listed as working as a laborer, probably casual work. He died on July 10, 1871, at Sunderland in his 80th year.